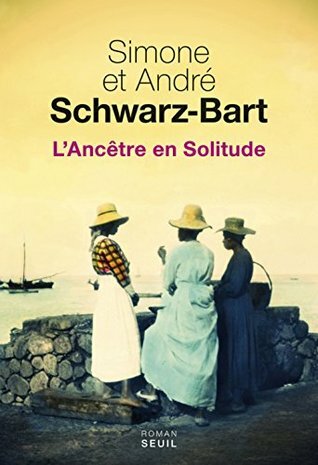 André Schwarz-Bart Simone Schwarz-Bart - André Schwarz-Bart (May 28, 1928, Metz, Moselle - September 30, 2006, Pointe-à-Pitre, Guadeloupe) was a French novelist of Polish-Jewish origins.Schwarz-Bart is best known for his novel The Last of the Just (originally published as Le Dernier des justes). The book, which traces the story of a Jewish family from the time of the Crusades to the gas chambers of Auschwitz, earned Schwarz-Bart the Prix Goncourt in 1959. He won the Jerusalem Prize in 1967.Schwarz-Bart's parents moved to France in 1924, a few years before he was born. In 1941, they were deported to Auschwitz. Soon after, Schwarz-Bart, still a young teen, joined the Resistance, despite the fact that his first language was Yiddish, and he could barely speak French. It was his experiences as a Jew during the war that later prompted him to write his major work, chronicling Jewish history through the eyes of a wounded survivor.Schwarz-Bart died of a complications after heart surgery in 2006. He had spent his final years in Guadeloupe, with his wife, the novelist Simone Schwarz-Bart, whose parents were natives of the island. The two co-wrote the book Pork and Green Bananas (1967). It is also suggested that his wife collaborated with him on A Woman Named Solitude.Their son, Jacques Schwarz-Bart, is a noted jazz saxophonist.